Last week brought the first—and surprising—rumor from AppleInsider of an OLED touch bar above a new MacBook Pro (MBP) keyboard. At the time, I tweeted an image I mocked up of what that touch bar may represent. This week brings a fresh rumor, including a supposed spy shot, of the OLED touch bar, so I thought I’d write a blog post to further explain my mockup from last week, with the amazing ways it could be used on a Mac. While responding to a tweet yesterday by Neil Cybart (@NeilCybart), I suddenly had an epiphany about the strange difference between the original iPhone and the iPad Pro. @shameermulji @chrisdomico @rosenbergus @neilcybart Software. Software. Software. iOS hardware is desktop-like. Software hasn't caught up. So, what was the epiphany? Yesterday’s meme-of-the-day seemed to be that Apple has too many devices and isn’t focused enough. Sounds damning, doesn’t it? Well, not if you put any effort into thinking it through. He makes it sound like the iPad Pro is replacing the iPad Air (as in “v2 rethink”), and even questioned the future of the iPad mini. Does Apple have too many devices, too many colors, too many screen sizes, too many options? When Apple was a much smaller company, it made sense to have laser focus on just a few great product lines: Macs, then iPods, then iPhone, then iPad. But as a company starts selling hundreds of millions of devices every year—no matter how beautifully and functionally elegant they are—you risk looking ordinary. People like to be unique (think about Android & Windows users’ desire to “skin” the OS). That’s very impressive for Apple, that they’ve captured so much mind share and sales of high-end devices and branding power. But there’s a downside to that much popularity: familiarity and sameness. How does a user/owner stand out if everyone else’s Apple device looks exactly like theirs? If every MacBook is 13.3″ or 15″, if every iPhone is 4″, if every iPad is 9.7″, and every Apple device is silver with a white edge, they all start to look the same, no matter how beautiful. With iPhones, people buy custom cases. Even if they have to sacrifice thinness and elegance, owners now have a device they can show off to others, yet it’s still an Apple iPhone. I thought it ruined the elegance of the device, but I understood how there was a creeping sameness about all these MacBooks. There’s historical precedence for a business that made identical devices getting overrun by more agile competitors. You many know the business story of how General Motors overtook Ford: Henry Ford got popular by making thousands of identical Model T’s in black, and only black. After selling millions of them, though, they all started to look the same. Meanwhile, GM came out with different models and different colors to sell to different markets. While Apple devices are more upscale than a Model T, they ran into the same problem of sameness after selling hundreds of millions of devices. So now iPhones, iPods, iPads, and even MacBooks come in different colors. And it’s more than just branding and appearances. As a product becomes more popular, and sells hundreds of millions of devices, to gain the most users you need to handle different use cases: some want the lightest device (Air’s), some want to sacrifice weight for power (Pro’s), some have small hands and want 4″ iPhones or iPad mini’s, some have big purses and want 5.5″ iPhones or 12.9″ iPad Pro’s. This isn’t just for iOS devices, either. Macs have done this for years: MacBook’s/MacBook Air’s, MacBook Pro’s, iMac’s, Mac Pro’s, Mac mini’s. You can customize screen size, RAM, CPU speed, and storage. This is nothing new. Each of these models does not have to be best-selling. 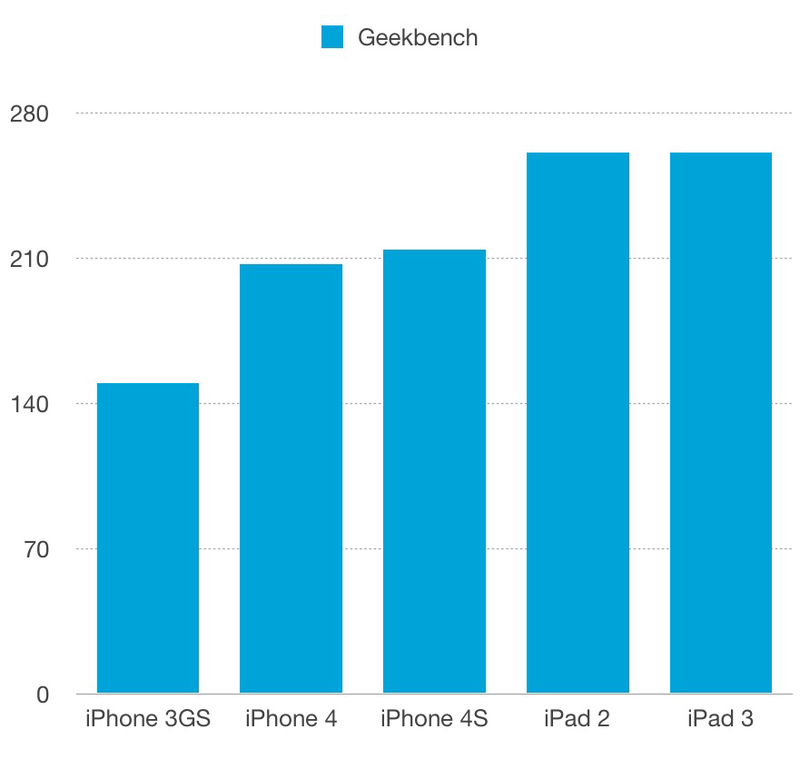 An iPad mini that sells fewer units than an iPad Pro is not necessarily a failure. A business needs to provide options for different people, different needs, and different wants. What’s great for an individual is not necessarily what’s great for the enterprise or education. Claiming that the debut of the 9.7″ iPad Pro means that iPad Air and mini were mistakes (or “v1”) is like saying that after Audi created the A4, and then the A3 and A6, that the A4 was now a superfluous “tweener” car that no longer made sense. Not true at all. Not only does Audi make the A2, A3, A4, A6, A7, & A8 (& A8L) they also make the A5 (essentially a 2-door A4), TT, S3, S4, S5, S6, S7, S8, R8, RS4, RS5, Q3, Q5, Q7, etc., etc. Success is measured by many factors, such as whether it provides an inexpensive entry point to the brand, how it competes with similar cars from similar brands, how much profit it makes, how well it does in specific markets (North America, Europe, & Asia are quite different), whether it’s a flagship for the brand, etc. One way that Apple is different from a car company (although it may be a car company, too, someday), is that people typically have more than one Apple device. Let’s say people average 3-4 Apple devices: which devices any one person choses varies considerably based on needs and wants for technology, power, performance, and fashion. The best devices for me are an Apple Watch 42mm with leather band, iPhone 6s, iPad Pro 12.9″, and 27″ iMac. Someone else may prefer an Apple Watch Sport 38mm with nylon band, iPhone SE, iPad mini, and 12″ MacBook. Yet another person might want a black Apple Watch 38mm with steel band, iPhone 6s Plus, iPad Air, and Mac Pro. 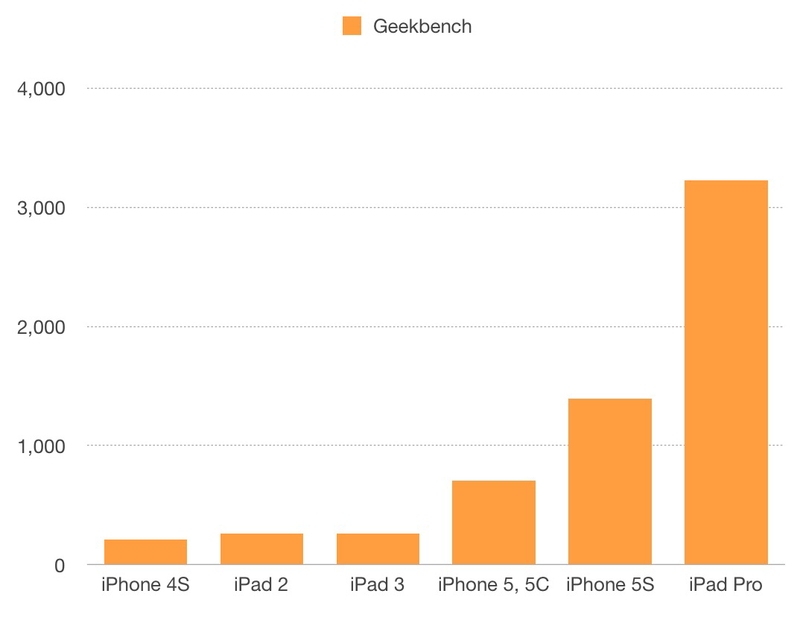 So, does Apple make too many devices? Does the introduction of a Pro device mean an Air or a mini is destined for the dustbin? I don’t think so. As technology overtakes so much of our lives, and our Apple devices replace phones, cameras, videocameras, maps, GPS units, MP3 players, video players, watches, gaming units, PCs, and more, we need to be able to pick and choose the weight, performance, style, and fashion that suits us best. Now there are some stories running that yesterday’s Apple event was a big, fat flop. Apple announced an iPhone SE and 9.7″ iPad Pro, to no one’s surprise. Well, no one’s surprise because of the leaks. But think back to last fall. The Twitterverse was agog about a 9.7″ iPad with keyboard and Pen, like the 12.9″ iPad Pro. But no one expected a Pro/Air line separation for the iPad (although I did blog that a keyboard and Pencil would not come to a model called Air). Likewise, people who loved 4″ iPhones were beside themselves, thinking that Apple would never make a new 4″ iPhone again. Fast-forward 5 months and both wishes came true. Is that big news? I think so. But it’s more than just whether the news was leaked or not. Yesterday’s announcements are important for what’s coming this fall. Let’s not forget the 32-bit Ax process to 64-bit processor transition that’s been under way since the A7. Apple has already forced developers to make 64-bit versions of their apps on the App Store. Apple doesn’t do legacy. 32-bit apps are going the way of the dodo bird. When? It could happen as early as iOS 10 this fall. Why do I think that? Well, an inexpensive, $399 iPhone SE (special edition: just for 32-bit phone users!) was the final nail in the coffin for 32-bit Apple iOS devices (well, except for the Watch, but I’ll get to that). 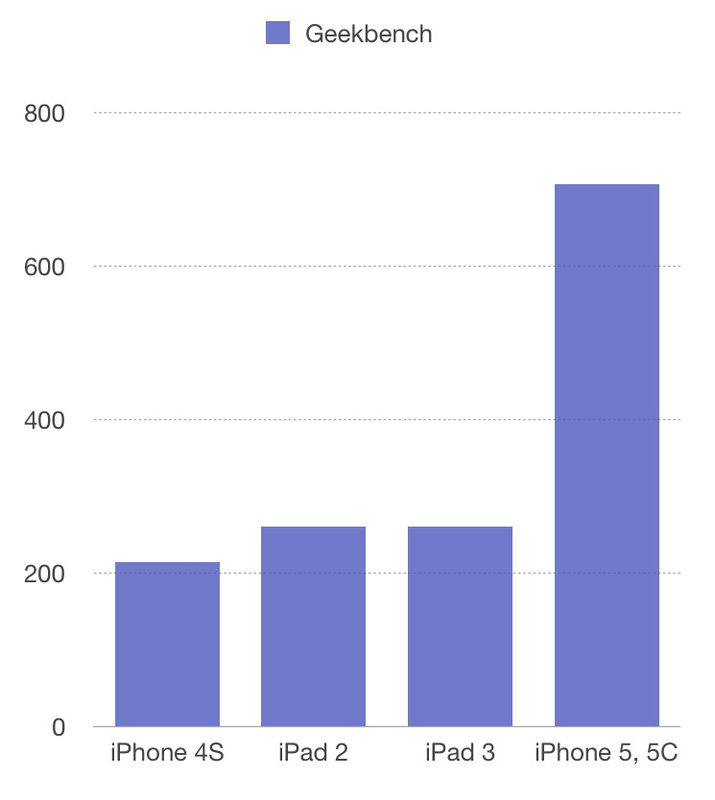 Everything Apple sells now is 64-bit, from the iPod touch, to all iPads, to all iPhones, to all Apple TVs. All new/updated apps in the App Store must be 64-bit. iOS 10 will be announced at WWDC 2016. WWDC is the perfect time to announce that iOS 10 is 64-bit only, and users that want to upgrade to it will have to have a 64-bit device. Now users won’t be able to whine that they don’t want a large iPhone 6 or 6S, because they’ll be able to buy the 4″, 64-bit CPU iPhone SE. For just $399. Or free with contract in the US. Painless upgrade. Likewise, splitting the iPad line into iPad Air and iPad Pro, with a $200 price differential, leaves room for a future iPad line in the middle. A new iPad Air this fall would presumably have an A9 chip and be much thinner than an A10-bearing iPad Pro (and regular iPad?). People complain that iPad Pro is not a laptop, but it’s not meant to be. Right now, it’s perfectly justifiable as a touchscreen device with a keyboard accessory for occasional typing duties. It’s not meant to be a laptop with iOS 9. Perhaps, iOS 10 will change that equation, and with Pro-level photo, video, audio, & business software, the iPad Pro may come even closer to being the ultimate computing device for many users who simply don’t need a complicated Intel-based PC. Therefore, the 2 main announcements from yesterday’s event are laying out the groundwork for iPhones & iPads with iOS 10 and Apple’s A10 CPU this fall. So, what about the Apple Watch? First, the $50 price reduction (Apple doesn’t reduce prices very often!) signals that Apple wants to get a wider swath of entry-level wearable users, stealing them from FitBit and Android Wear. I had concerns about lack of Apple Watch upgradability, but the cheaper it is the less a concern upgrading is. Secondly, developers have complained about watchOS’s WatchKit API as being too high level, not allowing fine-grained controlled over the watch. Perhaps this plays into the 32-bit/64-bit issue. Perhaps WatchKit is so high level so that it would work on both 32-bit and 64-bit watches, and Apple will bring out a 64-bit Apple Watch this fall and a new watchOS API will be available and 64-bit only? That would explain away some of the weirdness and complaints of WatchKit as it stands today. No, yesterday’s event wasn’t groundbreaking. No major new visual designs. No new categories of devices. But then it wasn’t WWDC or a 2+ hour keynote, either. The purpose of yesterday’s event was to get the word out about an inexpensive phone that you can upgrade to in order to get iOS 10, and a smaller iPad Pro that could replace your need for a PC. Sometimes your strategy is more laying the groundwork for future announcements, and less about groundbreaking new things. The other day I told you about how OS X may become a legacy operating system. That won’t happen overnight; it’ll take a few years. Today I’d like to discuss what might happen in the meantime. I’ll take a bunch of seemingly unrelated facts and see if I can form a realistic story out of them. I’ve been thinking a lot about Apple’s App Stores lately, especially the Mac App Store which has had so much grumbling about it on Twitter and the blogosphere. In case you haven’t heard, the main complaints are: the Mac App Store doesn’t have as many features as the iOS App Store, apps seem to sit in the queue for longer periods before being approved, apps are sandboxed much like iOS apps, there’s no upgrade pricing for apps, there are no free trials available, and it’s hard to discover new apps based on a very primitive search mechanism. When a piece of software, such as the Mac App Store appears to be abandoned by Apple, two things immediately spring to mind: either it really is being abandoned and Apple is quietly suggesting you move along without it, or Apple has a huge redesign in progress and doesn’t want to expend time & money on the old version but the new version isn’t ready yet. So they just stay quiet. A subset of the second option (or, perhaps, a combination of the two options) is that the Mac App Store is going to be abandoned because OS X apps will become more like iOS apps, and there will be a grand unification of the app stores into one App Store. 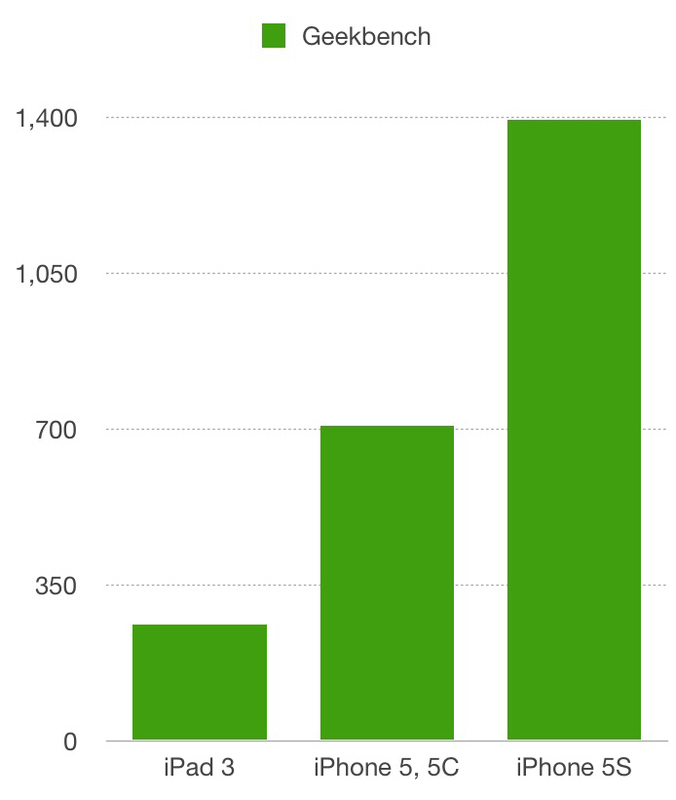 It’s not too hard to conjure up a story for a unified App Store; here’s some evidence for that. Apple has been moving to 64-bit OSes and apps for several years. OS X apps have been 64-bit for several years and even iOS apps have been allowed to be 64-bit since the A7 CPU was announced in the iPhone 5S. Over a year ago, Apple required that iOS apps uploaded to the App Store be 64-bit (even if they also included a 32-bit version). Thus both iOS and OS X apps are 64-bit. As of Xcode 7, Apple has allowed iOS developers to specify that their apps work only on 64-bit devices. So even though iOS 9 runs on older 32-bit CPUs, iPhones and iPads that contain 32-bit CPUs would not be able to run certain performance-hungry 64-bit apps. App compatibility is no longer just based on iOS version. For the past couple years, the release notes for Xcode have mentioned that Apple has deprecated “garbage collected” apps on OS X. They’ve even given us a timeline: These older apps, which use a type of memory management that is not supported on iOS, will no longer work in OS X 10.12. This means Apple could make iOS and OS X even more alike next year at WWDC 2016, since both types of apps will use ARC, a more efficient technique that allows iOS devices to use less RAM than Windows 10 or Android apps. Thus both iOS and OS X apps use ARC memory management. Apple already has “unified” apps for iOS and tvOS by allowing developers to specify that buying an app on iOS results in the same app being free on tvOS and vice versa. An educated guess would be that this is a half-step to a truly unified app, but some infrastructure wasn’t ready yet so Apple had to invent this temporary solution. So Apple is clearly looking at unification. There’s been a lot of developer angst about how different WatchKit is from standard iOS development (watchOS and tvOS are basically iOS with some libraries removed and new UI paradigms added). But remember that this first Apple Watch uses a 32-bit CPU. In fact the Apple Watch is the only device Apple still sells that’s 32-bit. Perhaps Apple is waiting to open up the APIs a little bit until the Watch CPU and WatchKit APIs are 64-bit. At WWDC 2015, Apple announced that one feature of App Thinning is BitCode, which allows developers to upload an intermediate form of their app, which Apple can later optimize for different CPUs. Yes, I know that Apple’s Chris Lattner has disavowed this possibility, so it’s not a key requirement of my theory, but then again he could be saying that because they don’t want to give away their plan. Remember how Apple was never going to have a stylus? Another possibility is that Apple will be coming out with a B-series of CPUs, but instead of being optimized for battery life like the A9 and A9X, they’re optimized for desktops and laptops. BitCode might make more sense in this scenario, allowing apps written for iOS to also work on AppleOS (see point #10, below). Also at WWDC 2015, Apple merged their iOS and OS X developer programs. If you create iOS apps you can now create OS X apps, and vice versa, at no additional cost. This would also be a key component of a unified App Store. Apple is presumably working on a laptop and/or convertible laptop/tablet that will feature an ARM CPU and run a derivative of iOS, much like tvOS and watchOS are derivatives of iOS. Perhaps it will be called iOS or perhaps AppleOS (iOS with an OS X-like UI, optimized for keyboards & mice) which might run on an AppleBook laptop. In any case, iOS will need to be modified to be more keyboard- and mouse-friendly. Apple is part way there already—iOS features keyboard shortcuts prominently on the iPad Pro with Smart Keyboard, and Apple has “focus” figured out for tvOS. “Focus” is the ability to move from one control to another (say, from a button to a text field) without using a touchscreen. On tvOS it’s done through swiping on the Siri Remote; on a laptop, it would be done by using the Tab key on a keyboard. Stephen Troughton-Smith has done some interesting investigative work showing how these features are already in iOS 9, they just haven’t been exposed publicly. He’s also show that tvOS has a built-in web browser, but it’s lacking a mouse cursor because Apple TV doesn’t have a mouse. Now, it’s possible that I’m conjuring up theories out of thin air, but all these data points seem to make sense when you think that Apple is working on a unified App Store with unified apps that run on iOS, watchOS, tvOS, AppleOS(? ), and OS X. There would be a collection of APIs that, if developers stick to them, apps would run on all Apple devices and OSes. This API collection would comprise most or all of iOS as well as a large subset of OS X (the parts shared with iOS). Of course there will still be some platform- and device-specific abilities, since a Watch is not a TV. Once the app was uploaded to the App Store, Apple could use the BitCode intermediate format to compile it for Ax ARM (iOS, tvOS, watchOS), Bx ARM (AppleOS, which otherwise would have no apps on Day One) and, possibly, Intel (OS X). Developers and enterprises that create iOS or OS X apps have to start thinking about a unified system. So what might the timeline be for this unified API, App Store, and ARM-based laptop- or desktop-like devices? Apple is rumored to be releasing Apple Watch 2 in March 2016 or thereabouts. It would be unlikely that a unified API would debut at that announcement since too many other things would need to happen. But WWDC 2016 could see a big push with OS X 10.12 and iOS 10 becoming even more alike and more shared APIs and Xcode 8. Then, of course, autumn 2016 could see new hardware, perhaps an ARM (A10X or a new B1 CPU) convertible tablet/laptop hybrid, or even an ARM-based MacBook running iOS or AppleOS. And that would be a good time to debut a unified App Store for iOS, tvOS, AppleOS, and OS X. Certainly, I’ve gotten some details wrong and over-interpreted a few data points. But I think it’s clear that something big is coming, whether it’s actually a unified API and App Stores, or just steps along the way. I believe it’s a mistake to continue thinking that OS X will live on forever as its own separate OS and App Store. Apple is too incentivized to make things easier for itself and third party apps by unifying CPU architectures, APIs, OSes, and App Stores. How exactly it’s going to work and what the timelines are is open to speculation. Don’t think iOS apps never have to worry about non-touch screens or laptops or desktops. Don’t think OS X apps can be kept out of the App Store forever, or that they won’t be required to be sandboxed, or that OS X apps will be priced differently from iOS apps. These will be challenging times for developers, businesses, and business models. It’s a very different world from even 10 years ago. Look to the future and embrace change. It’s coming.